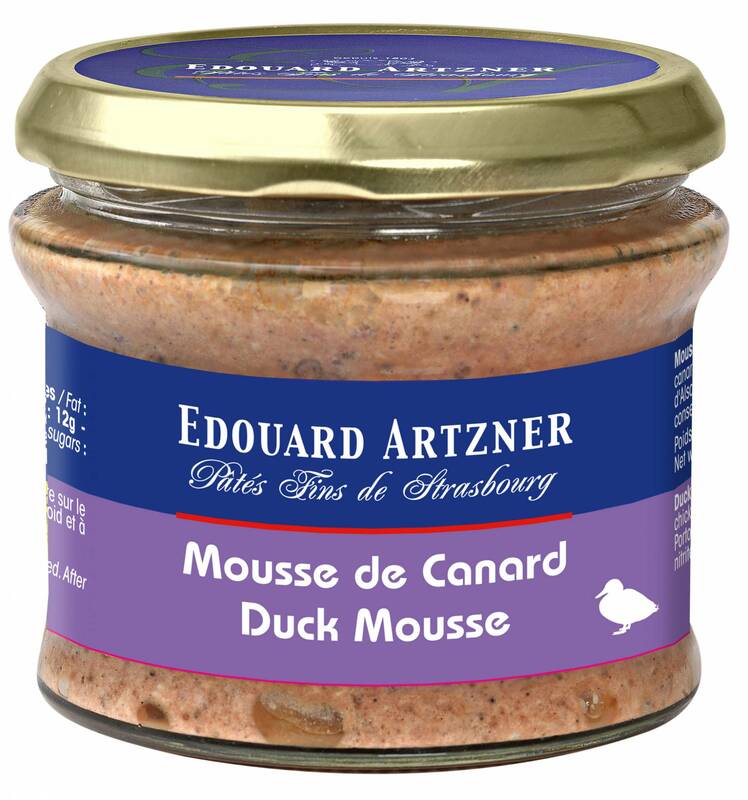 This superb duck pate from Alsace is reinforced with a little kirsch and can also be served on canapes and is easy to spread and smooth in texture. Makes a delicious French starter for two (or canapés for 10 – 12) and is best enjoyed on lightly toasted bread with a glass of red wine of your choice. Prepared by Edouard Artzner in Strasbourg. Duck fat, duck liver (15%), chicken liver (16%), duck meat (10%), water, whole egg , salt, kirsch from alsace (1%), porto, milk powder, milk protein gelatine, spices, preservative: sodium nitrite. Enjoy on lightly toasted bread as a starter.